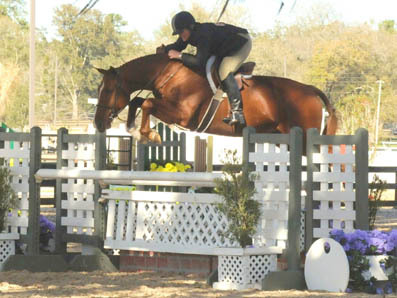 "It was always my dream that as soon as both my girls went to college I would get to show a little more again," said Nancy Sutherland, Olathe, Kansas. "I had no idea that being Horse of the Year would be part of the deal. That was an added bonus!" 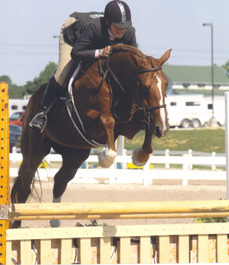 Vancouver, a 7-year-old Royal Dutch Warmblood owned by Nancy's daughter, Margot Sutherland, won more than 10 championships this year in the amateur-owner divisions. "We call him the 'barefoot wonder' because he shows bare foot," said Nancy. 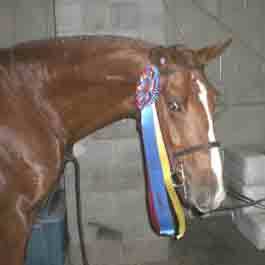 "In August of 2006 he pulled a shoe, and by the time the farrier got there he had pulled two more. His feet did so well [without shoes] that we never put them back on." 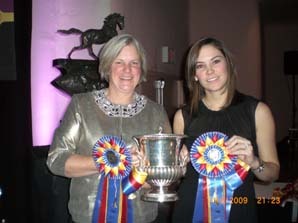 Vancouver was champion at the Kentucky National, Dallas Harvest (Texas), American Royal Hunter Jumper (Mo. ), St. Louis National Charity (Mo. ), GO Preview (Okla.), and many Lake St. Louis shows. 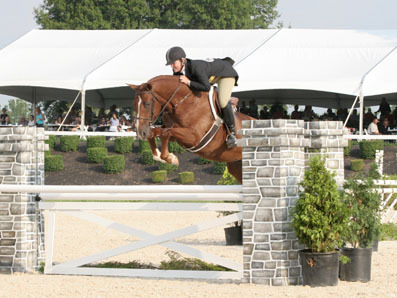 Nancy pinned her Kentucky National championship as one of her favorite moments, but she also said the score of 90 she received in an amateur-owner classic was exciting as well. 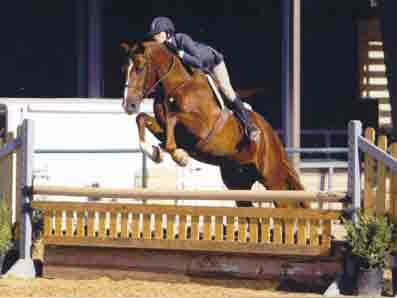 - 2008 USEF National Champion Amateur Owner Hunter 35+. Kannan (rider Michel Hécart). Kannan is the full brother of Lady-Meta.